Meet the talented young artists who'll make you want to travel the Philippines! 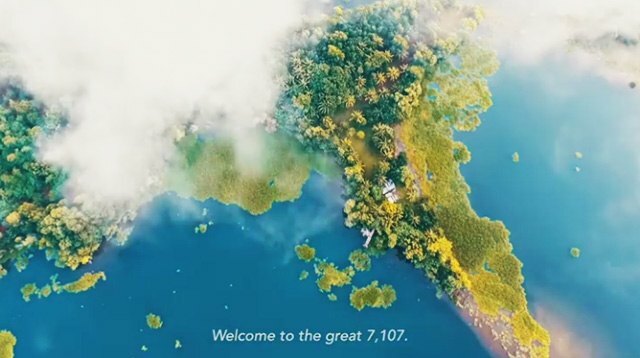 The controversial ad by the Department of Tourism (DOT) caused quite a stir, but if there's anything good that came out of it, we think it's this unofficial video that truly justifies the beauty of our country! And would you believe us if we told you that this viral video was in fact created by a group of millennials within under 12 hours? No kidding—Story Collective, a group of young creative artists, was responsible for the wonderful storytelling that will take you on a virtual tour of the Philippines. In case you haven't seen it yet, watch this and find out why it's more fun in the Philippines! In an exclusive interview with Preview, the talented creatives behind Story Collective discussed the making of their video and what gave them the inspiration, along with their top local travel picks! Read on below. How do you feel about your unofficial tourism video going viral? Did you expect people to react that way when you first posted it? "Speaking as a collective, we feel really honored to see the overwhelming response of the community, but more than that, it makes us happy that we are able to bring people together in our own little way to show appreciation for our mother land. "Our team at Story Collective (Patrick Martin, Enzo Cruz, Nella Lomotan, Benj Ramos, Javi Cang, Pao Cua) has always been proud to call the Philippines our home and to share what we love about it. This video was just a way for us to somewhat bring together that shared love—but there's really so much more that we'd love to share." Please share with us the idea behind this video. "The video takes you through the Philippines through the words of a Filipino traveler, particularly one who hopes to welcome you home. One who has been around the Philippines and has his personal opinion on what [describes] us best as a country—from the people, culture, to the breathtaking sights and destinations. Having the opportunity to roam around the islands in the country gives us different experiences which give birth to different stories, which we bank on as a collective to share. This is also why we are called the Story Collective. "The footages used were taken during personal explorations and during trips powered by AirAsia." Tell us, what made you want to do this video in the first place? "Our love for the Philippines, for exploration, and for telling stories through photos and videos made us do it. We wanted to share what we were passionate about as a collective." Take us through the process. How long did it take you to create the video? "When our team found out about the recent DOT ad, we all had the same thoughts and exchanged messages via Whatsapp. We wanted to put the spotlight on the Philippines and tell our country's unique heritage using our own words, from our own eyes—the Filipino's. "Patrick came up with the concept and Enzo helped him put the story into words. It was a long exchange of Whatsapp messages with ideas on how we'll execute it. We were so stoked about the idea that we finished the entire video in less than 12 hours." Judging by the video, you've been to a lot of beautiful places in our country. Give us your top three recommendations where it's more fun in the Philippines! "There's more to this paradise behind its fame as the World's Best Island. If you travel deeper through its various towns, you'll get to know how rich their culture is through the different practices and tribes." "We are drawn to a place even more when we know that the community surrounding it upholds responsible, environmentally-sound practices to ensure that it stays as naturally pristine or as beautiful as it already is. One of the places we saw that's really vigilant about this is Bohol, a place that abounds with so much natural beauty, its tourism body is very keen on adopting policies and practices to make sure it stays that way." "The Cordilleras will always be a personal favorite for the team. We've had most of our craziest moments on top of mountains, we've shared countless stories over six-hour jeep rides, watched some of our country's most beautiful sunrises and sunsets from its peaks and galaxy shows during the night, and every time we go back, there always seems to be a new lesson to be learned. The Cordilleras never disappoint! It serves as a gentle reminder of how we could live simply—waking up to the scent of pine trees, sipping on a cup or two of the freshly brewed Benguet coffee." "These are just three spots. But just like what we've said in the video, we have so many islands and each one has a different story to tell for every visitor."